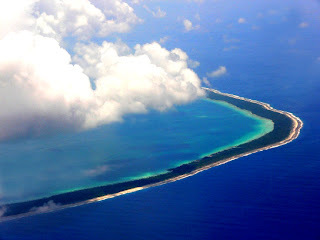 The tuamotu of Manihi is home to this stunning property. 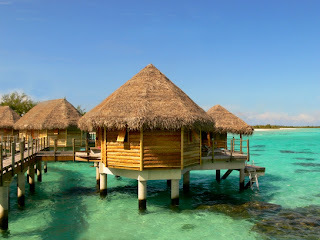 There are 22 beach bungalows on a white sand beach and 19 overwater bungalows. 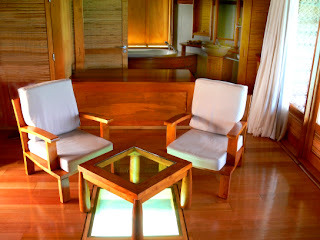 All have a verandah and the overwater bungalows have glass coffee tables for underwater fish viewing. 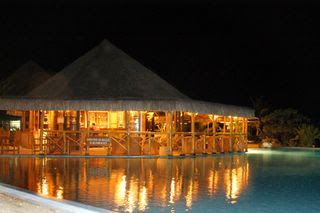 There is a bar next to the horizon pool and a lovely restaurant that is small and intimate. The food at this restaurant was wonderful! 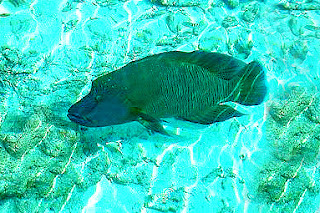 Loved the vanilla fish here! 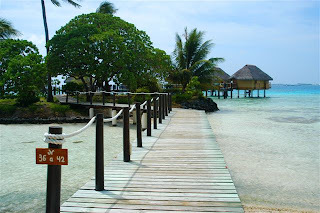 A quiet resort for snorkelers or those just wishing to get away from it all. 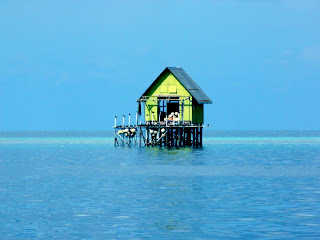 A PADI dive center is onsite and massage is available. Can you see the pink sand? It is truly amazing! 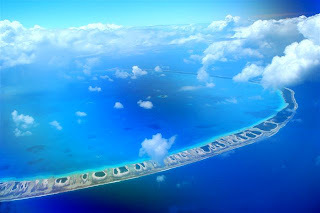 The Tuamotu of Tikehau is teeming with fish, is a great four star property and is a romantic place for honeymooners looking for snorkeling. The village of Tuherahera has about 400 residents and fishing is their primary industry. 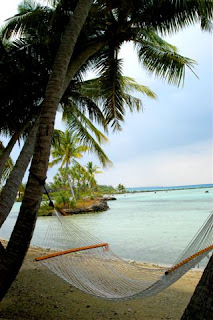 An island addition of Tikehau will take you to pristine beaches and endless lagoon views. 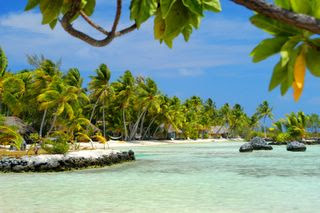 The Pearl Resort in Tikehau is set on a pink sandy beach and only thirty eight bungalows grace it's shores and overwater. 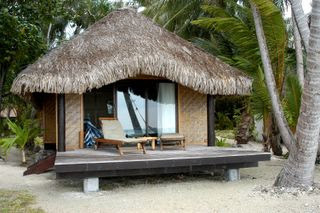 The Overwater Suites have air conditioning here, a good thing to remember! 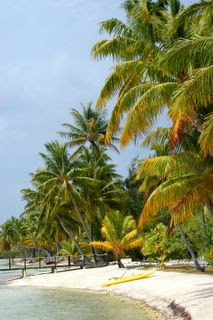 A quiet retreat attracting divers and those looking for snorkeling and a quiet four star resort. 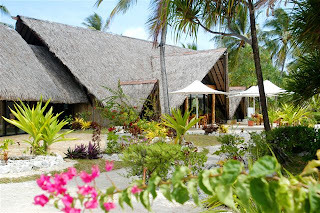 There is a bar and restaurant and an on site PADI dive center. 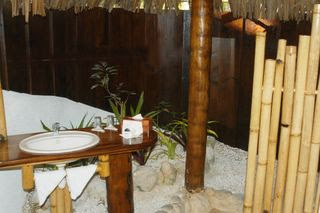 There is also Manea Spa Bungalow Massage available. 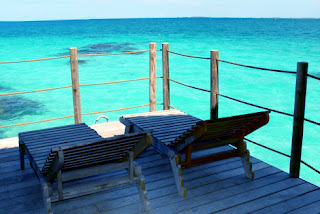 Overwater bungalow deck and view! 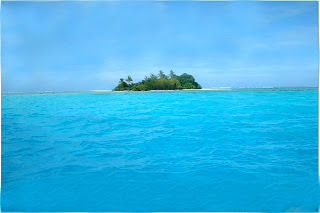 This tuamotu is a divers paradise. 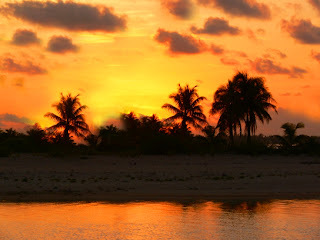 The environment here is completely pristine and unspoiled by tourism. 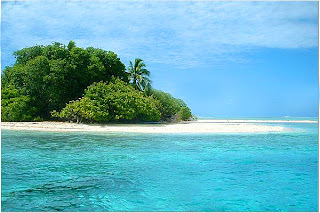 Marine life lives in tandum with it's quiet white sandy shores. A trip to Fakarava will fill your days with azure blue waters, friendly people, rare marine life and visions to last a lifetime. 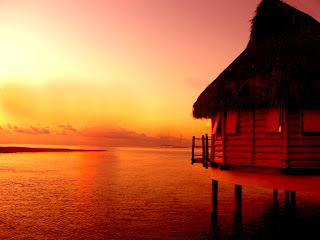 This resort faces a virgin lagoon filled with coral and fish. 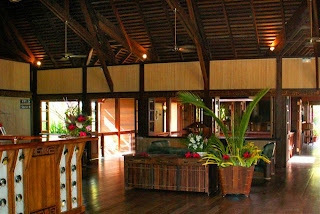 They have only 30 bungalows set in a plantation of Tiare flowers and fruit. The white sand beach is incredible! 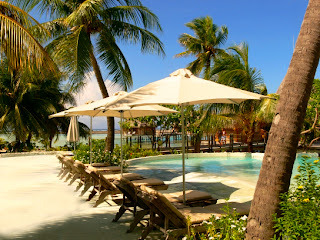 There is also the Kiri Kiri Bar and the Ora Restaurant to complete this almost four star resort. 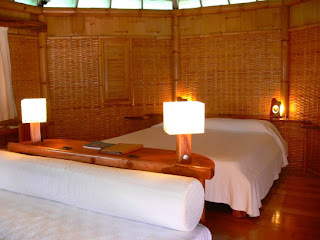 This resort caters to divers with an on site dive operation as well. 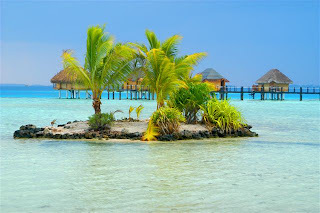 A unbelievably unspoiled place just waiting to be discovered. 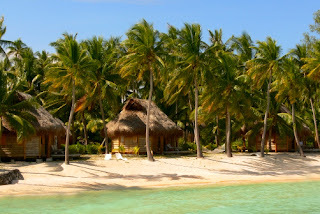 Resorts are few in Fakarava. 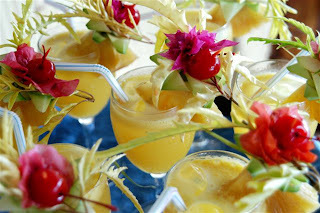 Besides the Maitai Dream above, there are the following pensions available. 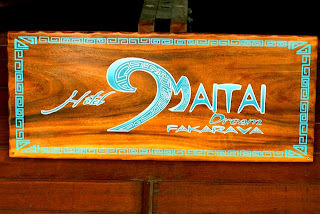 Remember these are quite rustic for the most part but will give you lifetime memories of a secluded authentic tahitian visit. Thanks so much for looking through all these photos! 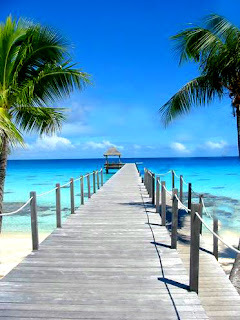 I hope they have been of help to you in your search for the perfect accomodation in paradise.